Nebraska Attorney General Doug Peterson has finally released a report on Tuesday about the scandal that occurred at Goodwill Omaha more than a year and a half ago. The scandal was revealed to the public through a series of investigative articles in the Omaha World-Herald focused on a tangle of problems that included, among other things, underpaying workers with disabilities and overpaying executives. In fact, the number of people with disabilities that it served had plummeted in recent years, even as the number of its retail outlets doubled. In its stores, only 28 of its 145 employees were members of its training programs. What work Goodwill Omaha did do with people with disabilities was federally funded, while the profits from the stores were essentially going back into the business in the form of growth capital and salaries. This, says the AG, essentially means the public was deceived as to the charitable purpose of the stores. The report says that the endeavor came to operate as a for-profit business—and he certainly doesn’t mean that in a good way. Examples of head-in-the-clouds governance abound, from failing to address reports that the workplace was ranked poorly against its peers, to ignoring the unimpressive results on the balanced scorecard used to measure the performance of its executive management team. In the end, the AG found that the board was culpable in its inattention, which led to management practices that did not put either the mission or Goodwill’s constituents first. Instead, says the report, the board truly believed that their CEO was one of the best in the field nationally—an opinion apparently based only on his ability to grow operations. “McGree and the leadership of Goodwill Omaha justify their focus on constant retail expansion by pointing to retail sales as furthering their mission programs”—but there is, again, no evidence it was used for programs. Since the investigation began, the AG has required changes at the organization that have included a board makeover and an agreement about adhering to certain new business practices. So, while the investigation did find that executive pay at the agency was excessive, the AG has declined to pursue any clawback efforts, even though, Peterson says, none of the millions in profits from Goodwill Omaha’s thrift stores were going to those whom the organization was purporting to help. Peterson laid this at the feet of the CEO, giving the board members a legal pass for their neglect. “Our investigation revealed the main problem at Goodwill Omaha was poor management by former President and CEO Frank McGree,” the report said. “Unfortunately, we concluded that there were inadequate legal remedies to pursue any claim of restitution against McGree and inadequate evidence of wrongdoing to pursue any claim” against the unpaid volunteer trustees. What the AG did do, however is suggest it might be wise to have the Nebraska state legislature examine whether there are state laws that can be enacted to hold executives of nonprofits more accountable. 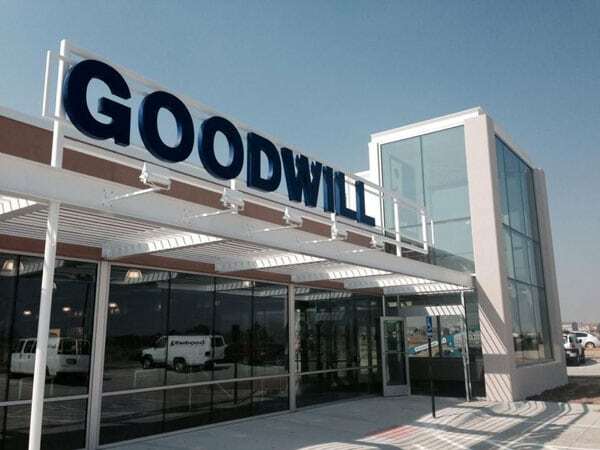 The investigation traced the beginnings of Goodwill’s problems to 2000, when it began to ramp up its stores in the Omaha area from eight to 15. At that point, Peterson said, it appeared that the charity’s mission became maximizing store revenues instead of serving people. Executive pay spiked, but the number of clients served by the charity actually fell between 2012 and 2016, from 3,300 to 1,900, mostly because of a loss of federal contracts. Investigators concluded that not a single dollar of store revenues between 2011 and 2015 supported job programs. They also found no evidence that money generated by a program in which customers were encouraged to round up their bill to the next dollar went toward the mission. In addition, executive expense reimbursements for food, drink and entertainment shot up from $235,872 in 2013 to $345,567 in 2016. “As Goodwill Omaha grew, it operated more and more like a for-profit business,” the report said. Peterson said that there came to be “no correlation at all” between how the charity was performing its true mission and what executives were paid and that excessive pay further deprived Goodwill of dollars for its mission. For a while, after its work took national center stage, the founder of Southwest Key Programs, Juan Sanchez, tried to spin a story of his own humble roots. The media and some federal agencies, however, uncovered a tangle of relationships, high executive pay for family members, and profiteering.